Arthur's Day , 22nd of September, want to join? It’s all over the media, tomorrow is Arthur’s day! 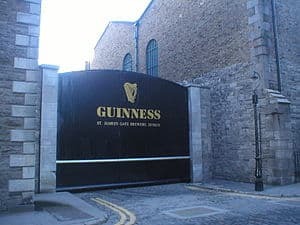 In 1759, history was made when Arthur Guinness signed a 9,000-year lease on the famous St. James’s Gate brewery in Dublin, Ireland. Thanks to Arthur, people everywhere have been enjoying the world’s most famous beer for more than 250 years. So each year, we celebrate the life and legacy of Arthur Guinness and his brewing tradition. And what better way to celebrate great beer than with great friends and live music from some of the best artists of our time? Arthur Guinness Day brings people together in their local pubs, their cities and around the globe to share and toast the black stuff together. to become a worldwide fan!